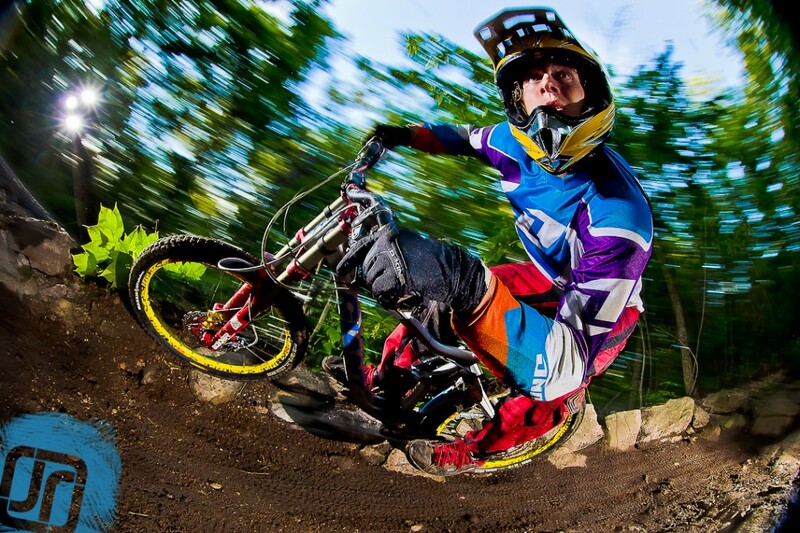 Photographer John Rathwell is an action sports photographer based in Ontario, Canada. 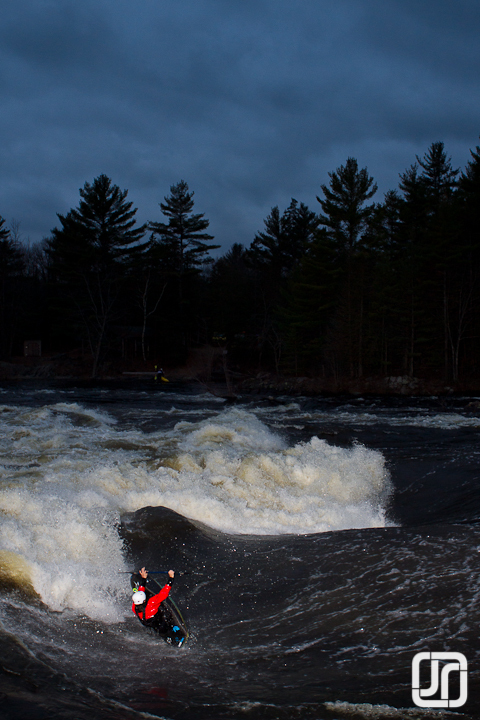 Long hikes, wild weather conditions and tight set ups are all in a days work for John. We caught up with him to chat about how he uses his GorillaPod SLR-Zoom and GorillaPod Focus on a typical shoot. With more and more photographers working alone these days, and lighting as a key aspect of professional photography, it becomes clear that you need to have your lighting systems down. To give you a little background on myself, I am the owner and photographer for John Rathwell Photography. 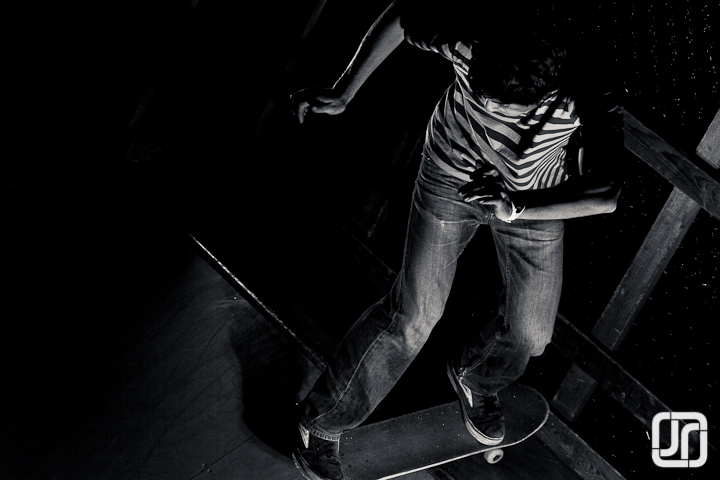 I shoot action sports for commercial and editorial use. 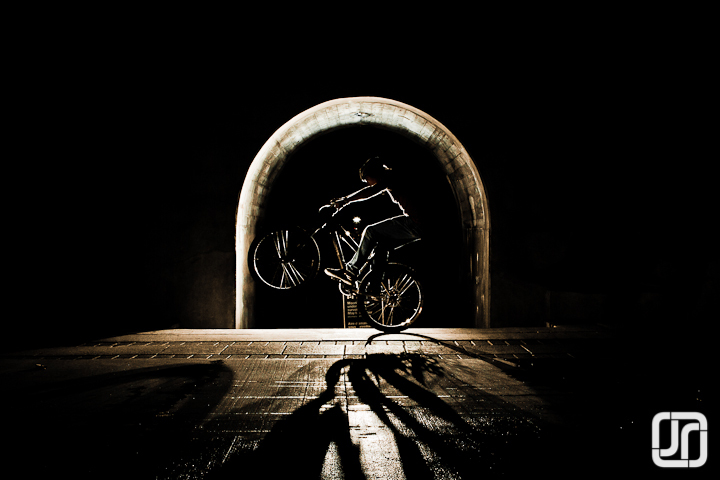 Lighting is key and is what sets me apart from a lot of action sports shooters. I often have to hike into areas and work in non-ideal weather. Keeping my gear to a minimum in size and weight is key for me. It must also be rugged and stand up to a lot of abuse as well as be quick and easy to work with. I decided I would give GorillaPods a try, and in a way you wouldn’t think. Light stands have always been one of the most frustrating things to me. They are bulky, heavy and always fall over in windy conditions. Plus hiking in with sand bags just isn’t fun. I use a GorillaPod SLR-Zoom with a Lastolite Triflash bracket and 1/4-20 adapter. These work great for holding my secondary lights or anytime you need one direct flash. Quick and secure setup and they go low on the ground or high in a tree branch in seconds. When I need more power, I turn to my GorillaPod Focus. I have had up to 5 lights on it in heavy wind and it held fine! I have also used it with a softbox and umbrella and no issues at all. I never had to worry about it blowing over like a light stand! I have started considering the GorillaPod SLR-Zoom and Focus my new 3-fingered assistants. They are flexible small, lightweight and strong. 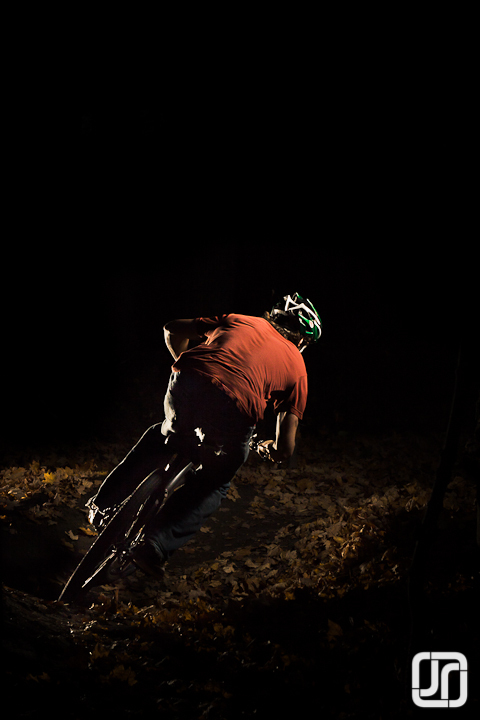 If you shoot anything outside and are into lighting they are worth a try! I’ve also been using the UltraFit Sling Strap. I have used sling straps for years. Any sling strap is better then the traditional neck strap, but the Joby strap is the best one I have ever used. The issue with most sling straps is that when the camera is hanging at the right level at your hip and your bring it to your eye, especially when shooting a vertical shot, the strap is never long enough. So you lengthen it. Then it hangs way to low when you put it down. The Joby designers must have known this and were truly innovative in the design. The strap automatically looses when lifted and can tighten back up instead of just hanging at your hip. 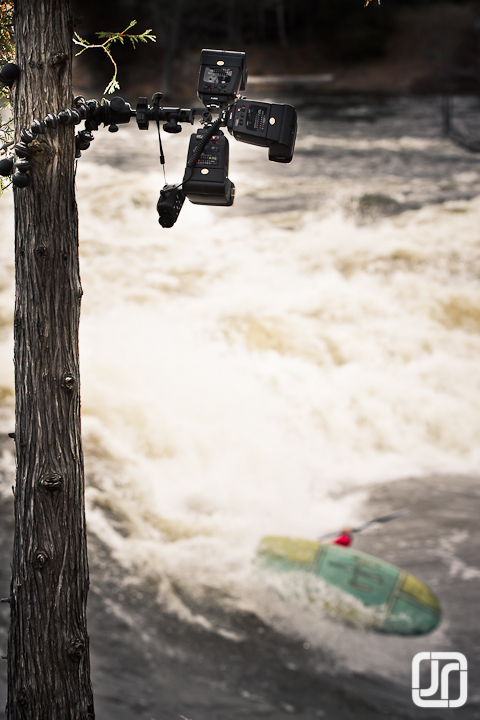 Perfect for shooting in tricky locations. This shot uses 2 main light sources. 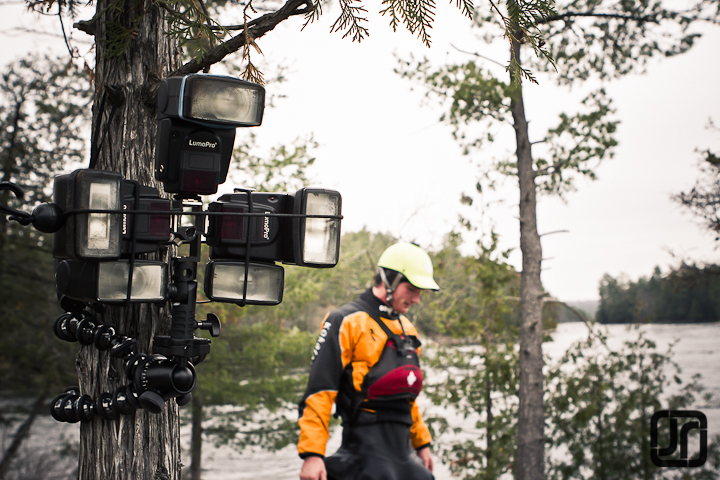 The main light sits camera right and is mounted to a tree using a Focus. There are 3 flashes attached to a tri-bracket and a softbox on it. On camera left there is a bare flash held up by an SLR-Zoom on the ground. This shot used almost the same setup as the mountain bike shot but both GorillaPodsPods are attached to a chain link fence and both are high above the subject. Check out more of John’s awesome work on his website or see a video of him in action here. Thanks John for sharing your awesome lighting tips! Need to squeeze a flash into a tight spot or tired of carrying heavy sandbags and light stands all over the great outdoors, check out our GorillaPod SLR-Zoom or GorillaPod Focus!